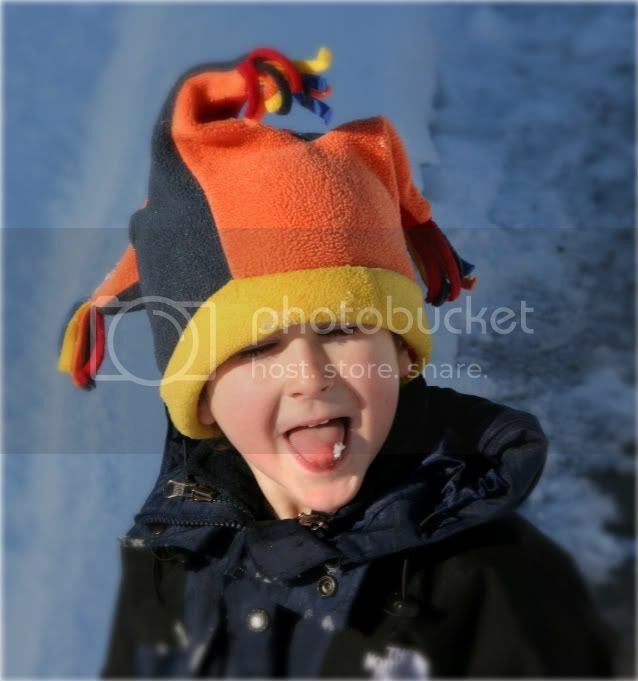 I LOVE, LOVE, LOVE & ADORE this HAT that my son wore this past winter. His jester HAT that kept his little ears and head toasty warm in these frigid winters. This is the most fun HAT for a child to wear. No matter where he went in this HAT, he always received a comment! Here is my favorite little man outside, looking cool with his jester HAT, and catching snowflakes! Do you have nice blog manners?